Miami is taking steps in the right direction and the runway has never been clearer. 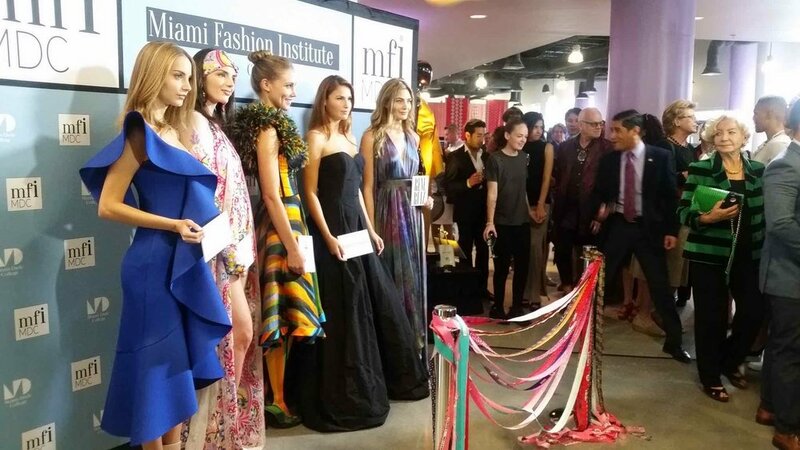 The local fashion industry needs more skilled talent to support manufacturing and the new Miami Fashion Institute (MFI) at Miami-Dade College aims to deliver. The ribbon cutting ceremony held on Monday, October 31, 2016, at their temporary yet impressive headquarters located at the Miami-Dade Wolfson Campus, gave the local fashion community a great view of the possibilities. Boasting rows of sewing machinery, cutting tables, tools and more, MFI was outfitted to develop the very best creative workforce that will keep us competitive globally. Offering two tracks, Fashion Design and Fashion Merchandising, students will focus in areas such as computer-aided design, garment construction and technology as well as international trade.